JUBA, Jun 3 2013 (IPS) - Susana Apai Wani has lived as a widow for more than two decades since her husband, James Wani, was arrested in 1992 by a policeman who accused him of collaborating with the Sudan People’s Liberation Movement, which was a rebel political movement at the time. This was on an evening in May 1992, when South Sudan was still part of Sudan and the southern rebels, the SPLM – now South Sudan’s ruling party – were fighting the Sudanese government for independence. The country’s civil war killed an estimated two million people and lasted for 22 years, from 1983 to 2005. South Sudan eventually became an independent nation on Jul. 9, 2011. Wani has not seen her husband since his arrest. She was never officially told that he died, but other political detainees who spent time in prison with him, and were later freed, told her that he had been killed. Elia Kwaje*, a former child soldier with the SPLM’s army, the Sudan People’s Liberation Army (SPLA), admitted that he committed many atrocities during the civil war. “One day I raped a young girl… and another time I shot and killed a pregnant woman,” he told IPS. “I really feel bad about it but it was during the war. We were thinking differently during the war… one day I want to ask for forgiveness but I don’t know if people will understand,” he said. But Kwaje may soon have the chance. South Sudan’s government is preparing to launch a campaign to begin a healing and reconciliation process here, based on the model of the Truth and Reconciliation Commission (TRC) established by South Africa following the end of apartheid. The TRC was set up by the South African government in 1995 to provide a way for its citizens to come to terms with the violence of the apartheid era by giving both perpetrators and survivors of violence a chance to testify. Perpetrators were allowed to apply for immunity from civil and criminal prosecution. During a week-long conference at the end of the year President Salva Kiir will launch a campaign that will coincide with the commencement of hearings by the country’s Presidential Committee for Peace, Reconciliation and Tolerance. The process is expected to last five to 10 years. Archbishop Daniel Deng Bul will lead the committee of mainly religious leaders which will hear testimony from both perpetrators and survivors. However, while the committee will not prosecute wrongdoers for their crimes, they will not be safe from civil prosecution. But in a country where, according to the United Nations Development Programme, 90 percent of its 10 million people survive on less than one dollar a day, this seems unlikely. “The war has created trauma in all of us. We must come out and talk about people reconciling and stop living in the past. What has happened is in the past – let’s say: ‘Let’s leave it in the past,’” South Sudan’s vice president, Riek Machar, who has been at the forefront of efforts to reconcile the South Sudanese, told IPS. Last year, he apologised to Jonglei state’s Dinka Bor community for his role in what is commonly referred to as the “Bor massacre”. Machar had been head of the SPLA faction that killed hundreds and possibly thousands of people in 1991 in Bor, Jonglei state. People were killed when Machar and Lam Akol, another key rebel leader, broke away from the SPLA that year. Machar later renamed his faction South Sudan Independence Movement. In addition to atrocities committed during the civil war, the new country has to deal with cattle raids that ultimately turn into massacres. 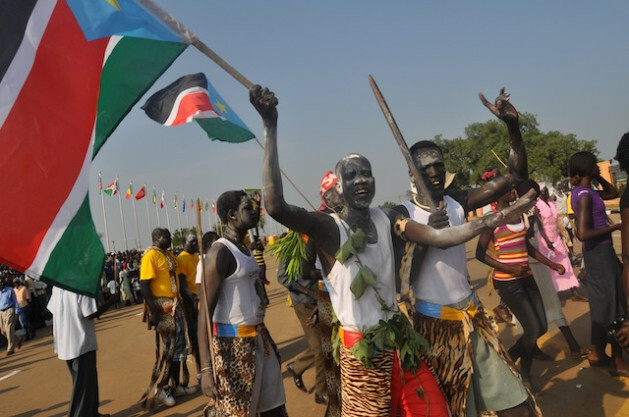 More than 1,000 people died in fighting between the Murle and Lou Nuer ethnic groups in Jonglei state in 2011. At least 900 more died in clashes from December 2011 to February 2012. The U.N. says at least 120,000 people have been affected by inter-ethnic violence in Jonglei state. However, Professor Alfred Lokuji of the faculty of peace and rural development at South Sudan’s University of Juba, told IPS that perpetrators of violence needed to take responsibility for their crimes rather than excuse their behaviour because of the war. “We cannot have an intelligent discussion about peace and unity if we do not want to admit that there are victims of our actions,” he said. While welcoming the reconciliation process, civil society activists have warned that it should not be politicised and override justice. Sarah Ajith James, chairperson of the South Sudan Women General Association, an umbrella organisation of women’s groups, told IPS that women were particularly demoralised by the rampant violence in parts of the country. Many remained resentful of the violence they have lived through, she said. “I have been moving from one state to another educating women about their rights. When we were training the women, we heard a lot of murmuring. But I feel bad because people are bitter, people are frustrated. Some of them are even asking: ‘Why did we vote for independence? It would have been better if we had remained as one country,’” James said.